As a continuance of our series featuring our upcoming Board of Directors for 2017/18, we would like to introduce Whitney Homan, our upcoming Community Vice President. she didn’t hesitate for one moment. 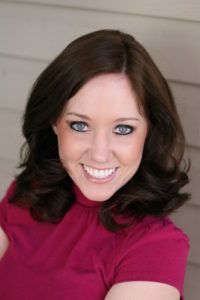 In her professional life, Whitney is a Doctor of Audiology at the North Little Rock VA Hospital. She has built a second career of sorts through completing several leadership positions during her tenure in JLLR, including Kota Camp Chair-Elect, Kota Camp Chair (two years), Children’s Event Coordinator-Elect, and is currently serving a double placement as Children’s Event Coordinator and Community VP. During her time as Community VP, Whitney is looking forward to attending and participating in all JLLR community projects. She also looks forward to getting to know the committee chairs and other Board members on a deeper level and learning more about the different components of JLLR.